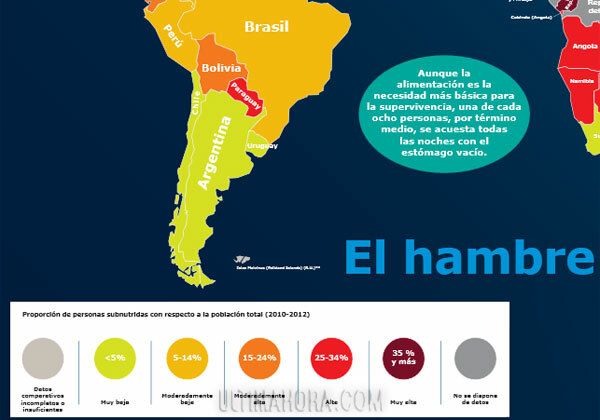 After my last post, which talked about Paraguay as one of the world top producers of meat, wheat and soy and its implications on poverty, it is only natural in this post I talk about the World Food Programme Hunger Map (http://cdn.wfp.org/hungermap/). The map, which was released last week, shows the predominance of undernourishment in the total population as of 2010 – 2012. The indicator is an estimate of the percentage of the population having access to an amount of energy from food insufficient to maintain a healthy life. Unfortunately, Paraguay ranks under category 4, with 25-34% of its population undernourished. Guatemala is the only other country in the region which ranks as low as Paraguay, and only Haiti ranks worst. 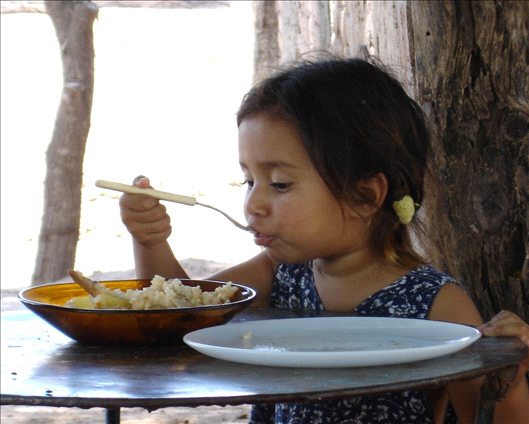 Malnutrition can have devastating consequences for Paraguay as a nation as well as for individuals. Hunger kills, maims, reduces IQ, lowers wages, reduces school attendance and undermines economic growth. 25-35% of the total population undernourished in a country so rich in resources like Paraguay – with extremely fertile land, abundant water resources and fruits literally rotting in the trees – is not a simple concern, should be a national outrage. Figures like these serve to provide the evidence needed (in case someone still needs evidence) to argue for the need for very strong social policies that disproportionally affect the poor living in rural areas. With 34% of the population living under poverty and 19% under extreme poverty, strong social policies are not a need but an urgent must. A recent report by Tulane University mentioned that “In contrast with other Latin American countries, Paraguay’s population has retained a significant rural component. In 2010, sixty percent of Paraguay’s population was classified as urban and forty percent as rural. It is in the country’s rural sector, moreover, where poverty, and especially extreme poverty, has been concentrated.” Moreover, according to the World Bank, social spending in Paraguay is one of the lowest in region at only 12.6% compared to a regional 15%. Of that 12.6% most is spent in paying salaries (teachers, health workers and so on) and little is left over for programs that could actually address crucial issues such as malnutrition. The worrying part is that in the recent presidential election none of the candidates focused their campaign on social development policies or even talked about them. Most likely, Cartes government won’t focus on this, and if it does, it will be under the trickledown effect, which evidence has shown over and over again, doesn’t work. We need to stop coming up with excuses for situations like these and start explaining to our people, and especially those that go hungry at night, how can it be possible that in a country which is one the largest world exporters of meat, soy and wheat we have so many hungry people.